Online Registration is Now Open for the Regions 1, 2, 5, 7 and 8 Minneapolis Tribal Gathering. Registration is free for all interested Title IV-B funded tribes that reside within ACF Regions 1, 2, 5, 7 and 8 including tribes in Colorado, Connecticut, Illinois, Indiana, Iowa, Kansas, Maine, Massachusetts, Michigan, Minnesota, Missouri, Montana, Nebraska, New Hampshire, New York, North Dakota, Ohio, Rhode Island, South Dakota, Utah, Vermont, Wisconsin, and Wyoming. 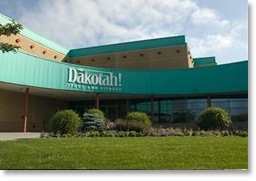 The conference will be held at the Mystic Lake Casino and Hotel. A special conference rate of $77.00 per night has been arranged for all Regions 1, 2, 5, 7 and 8 tribes who wish to attend this gathering (please note that those selected for a team scholarship will not need to make their hotel reservations directly). The deadline for hotel reservations at the special rate has been extended to Monday, August 29, 2011. The Mystic Lake Casino and Hotel is located just 24 miles from the Minneapolis-Saint Paul International Airport. Parking: Complimentary covered parking, Complimentary valet parking for all guests, Extensive fitness facility, Award-winning chefs and on-site bakery. Minneapolis-Saint Paul International Airport is located just 24 miles from the Mystic Lake Casino and Hotel. Gathering attendees arriving by way of Minneapolis-Saint Paul International Airport and driving to the Mystic Lake Casino and Hotel can find Driving Directions Here. A range of services offering travelers transportation to and from the Minneapolis-Saint Paul International Airport (MSP) is available. 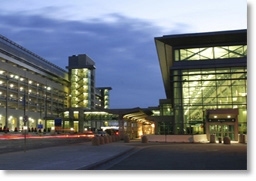 Taxi, limousine, Van and Shuttle Services, and Car Rental companies all operate at MSP. Public transportation is available through Metro Transit, which provides both Light Rail Transit and public Bus Service within the Twin Cities metropolitan area. Jefferson Lines Scheduled Bus Service is also available.